The multi-faceted company Tacony Corporation has recently made strides to ensure its success in the future. To keep up with growth and increased sales efforts, Tacony has implemented a search for a new ERP system. Additionally, Mike McLean has joined the company as Chief Information Officer to support the initiative. Over the past few years, Tacony Corporation has seen growth in many areas of its business. The company has increased its manufacturing enterprises with the new Maytag line of vacuums and new products from Koala Studios sewing furniture. It has also continued to extend its reach overseas by updating its facilities in China and the United Kingdom. Plus, a new online ordering system is in the final stages to help streamline the process for Tacony customers. To maintain growth within the company, a new Enterprise Resource Planning (ERP) system will be introduced next year, and the new Chief Information Officer, Mike McLean, will help ensure the new system’s success. McLean comes to Tacony with years of technology experience. From the time he took his first computer class at St. John Vianney High School in St. Louis, he knew he wanted to continue studying information systems. He went on to receive a Bachelor’s Degree of Science and a Master’s Degree in Information Management from Washington University and then started his career in the tech world. McLean’s experiences include the development of an international telephony billing system, integrating a billing solution with call center applications, and leading the development of a fully functional ERP. All seemed a perfect fit for Tacony Corporation’s business plan. 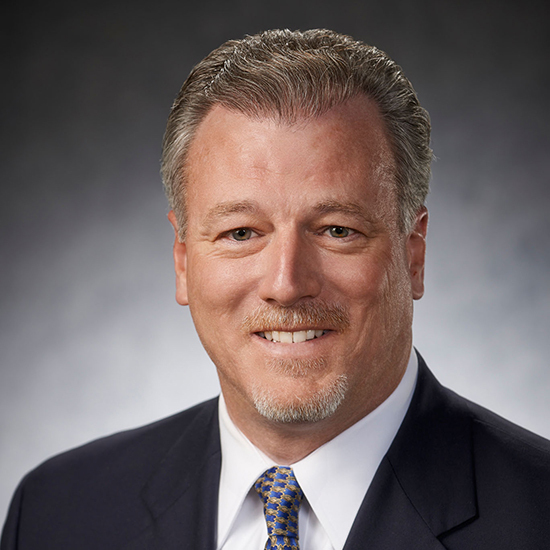 McLean will lead the rollout of new technologies brought into Tacony such as the ERP system, but his executive role will also cover many aspects of the company. “I truly enjoy being involved in delivering solutions/information/reports to employees (internal customers) that assist them with managing their area of the business,” McLean said. He will play a key part in developing a standard approach for supporting all Tacony web applications including any e-commerce and content management. So far, McLean has a positive outlook at Tacony’s upcoming implementation of the new ERP and other technological advancements. “The Management Team has whole heartedly accepted and is completely supportive of the challenge of transitioning to a state of the art ERP System. In addition, they have involved members of every business entity to be actively involved and committed to the effort,” he explained. Along with his expertise in technology, McLean has a strong family relationship—making Tacony even more of a fit for him. Just as McLean supports Tacony’s new technology efforts, his family supports his new career path. His wife, children and parents have encouraged him throughout his career, and that’s something the Tacony family definitely understands. Tacony Corporation has been family owned and operated for 68 years. The company strives to build long-lasting relationships with its employees and customers and love welcoming new people to its family.